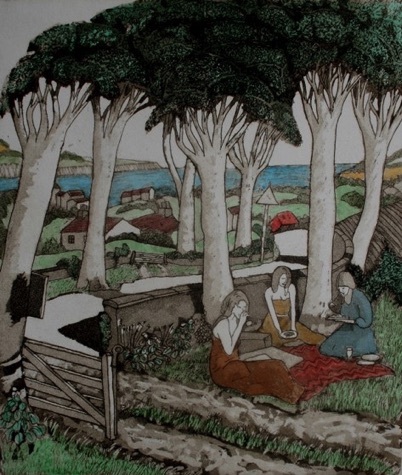 The three ladies have decided to hold a picnic, on a red blanket, the postman has just been talking to them and excitement is in the air as they tuck into sandwiches etc. The sign on the tree says KEEP OUT to which they have paid n attention. They will get very tippsy and 'girl talk' will be the order of the day.